The newest road to be documented by Visitnordkapp.no is the road along the coast of Norway to Nordkapp. For many Norway is the land of the fjords. The fjords of the arctic are just as spectacular as any other fjords in Norway. The trademark picture for the road is the glacier in Jøkelfjord. The only glacier on mainland Europe calving into the sea. The imperial ice has, in fact, been a destinations for modern day tourist for as long as the North Cape plateau. The first designated blog post along this road was the most important war memorial in Norway which is deliberately made out of reach for tourists. 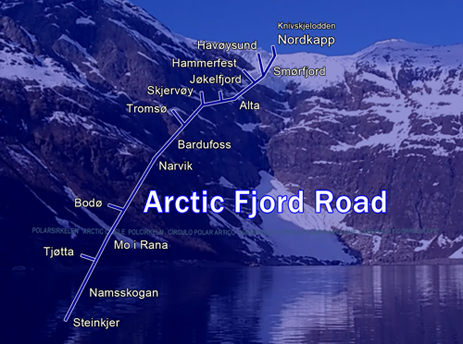 Enjoy more imformation about the Arctic Fjord Road. As part of a big undertaking, VisitNordkapp.no has started to create a catalogue of film clips along different roads above the Arctic Circle. The goal is to create genuine and informative film clips from the area. 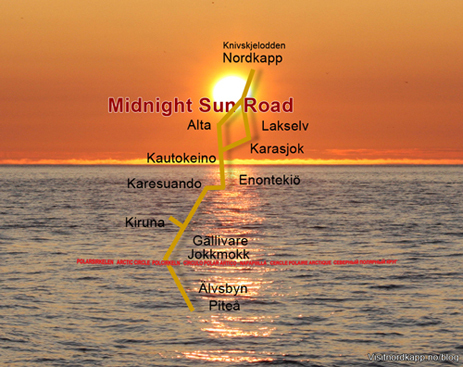 The first road we have documented is the Midnight Sun Road between Piteå, Sweden and Nordkapp, Norway. Some of the highligts along this road are the Grand Canyon of the Arctic, Storforsen, and tranquil Jergul. Check out some of the film clips and blog post along Midnight Sun Road. 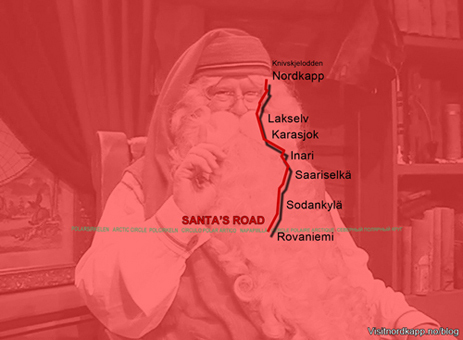 The second road we have documented is the road between Rovaniemi and North Cape. A number of blog posts have been written and film clips are been edited. Read about some of Santa Claus' secrets, living troll legends and the sexiest place north of the Arctic Circle. Check out some of the blog post along Santa's Road. On a long expedition in 2014 we had time to do some extra milage between Luleå and Rovaniemi. We visited true gems such as the Särestöniemi Museum in Kaukonen, Finland and the Ruter Retro Café in Boden, Sweden. The land of the Midnight Sun and the Northern Lights. 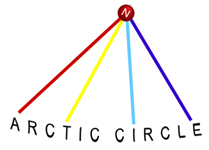 The land above the Arctic Circle is one of the most exotic destinations of Europe. We are starting to work on documenting other roads in addition to the Midnight Sun Road and Santa's Road. There are many interesting offers along the arctic roads. The editor of visitnordkapp.no is also the editor of the tourist guide for the North Cape area. The 2011-12 guide is a special edition, celebrating the 150th anniversary of the Nordkapp municipality.